I have lived in my Singhome for 2.5 years. My wife and I are very pleased with the product, and are enjoying every aspect of our new home. I opted to use the honeycomb window frames, exterior doors, and sub-floor products. The window frames have worked very well, and the windows have shown no signs of moisture in the tracts, weeping, etc. The doors are also functioning well, and are not only strong, but they minimize noise and are fully insulated. Lastly, the Honeycomb floor panels have provided for an ultra-insulated floor with amazing strength. I was able to put a radiant heat system on top of the honeycomb panels with 2,000ft. of pex tubing and 1.5″ of concrete on top. The Honeycomb easily manages the weight of the concrete while the insulation in the panels themselves help to keep the heat in the home. The house is amazingly solid, and very quiet. Even during storms, the wind and rain are nicely muted. One other benefit I have noticed is the general comfort level of the home. The humidity is very stable. Though I have not had it officially measured, it never feels muggy in my home. Even on very warm days in the 80’s or 90’s, the house stays quite cool. When I visit my dad’s house a few miles away, I notice that his house is quite warm inside on those hot days. The heating bill for our 2,300sq. ft. home is around $200.00 per month in the winter. I turn off my heating system completely from May until Oct. I was introduced to the Sing Home concept about 5 years ago and have since built 4 of them, with 2 more coming up in the Spring. 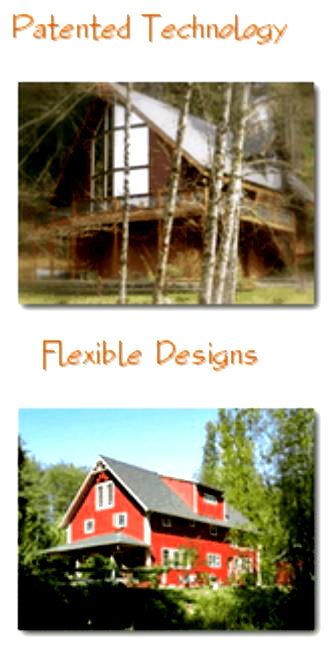 After having built with their product, I do not want to build again using conventional framing. There simply is no comparison in quality, stability and strength, longevity, energy efficiency, or beauty. 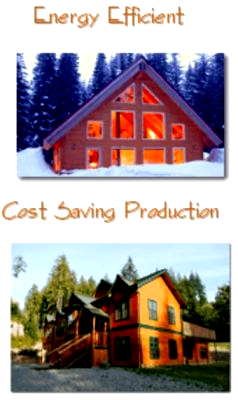 The cost is comparable to a custom stick-built home, but with so many more advantages. There is also a financial advantage with a Sing Home. As soon as the home is completed it can easily be worth more than a third more than it cost to build. 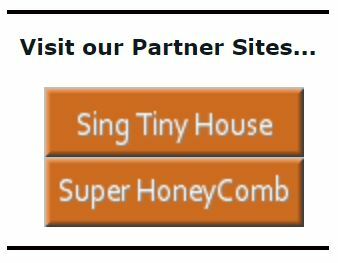 Can I recommend a Sing home? Absolutely I can! I stake my reputation of 35 years in construction on the Sing Home product. Overall, my satisfaction with the superstructure is high. Aesthetics are a personal thing, but most people that visit this house remark that it is quite beautiful. 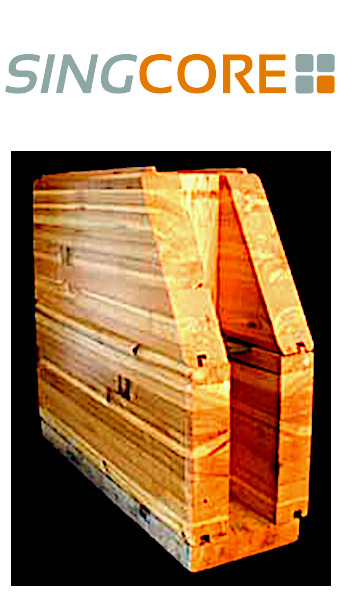 I like the fact that Peter Sing has found a way to use the waste from cedar mills to create a product that is pleasing to look at and characteristic of old growth cedar – without another stump in the woods. Once I treated the house with two coats of Sikkens preservative, the walls became impervious to moss, bugs, rot and the occasional photo degradation that characterizes this climate. Since application of the Sikkens, the finish and underlying structure look very stable. Living on this rain forest property for three decades I have seen many of my improvements come and go. It is with some satisfaction that I believe this house will be here years after I am gone. The insulation value of the house seems to by what the manufacture claimed. I have 250′ of plastic pipe embedded in the concrete slab of the lower floor of the house. My wood stove is plumbed into the hot water system and controlled with thermostats on the stove chimney and water pipes. When the stove is going and the water temperature reaches 190’F, the water is pushed through the floor. Except in freezing weather, if I burn the stove for four to eight hours, the house stays comfortable for 24. The heating is backed up with a propane hot water heater so that I can keep the house temperature about 50’F when I’m gone for extended periods. The energy efficiency of Sing Log product is a significant virtue. Time will tell, but at this point I am highly satisfied with the Sing Log house that I call Home. While it is especially well suited for an alternative energy house situated in the rain forest, it is a very reasonable and affordable construction in suburbia. I hope and expect that my joy and satisfaction will continue to increase. CONTACT A SALES REPRESENTATIVE TODAY!